Welcome to West Bend Area Chamber of Commerce! 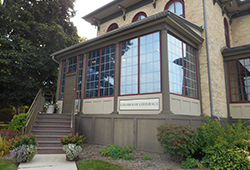 The mission of the West Bend Area Chamber of Commerce is to serve as the business advocate for our members and the West Bend Area. 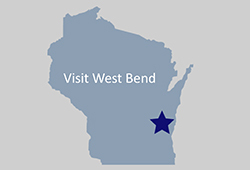 West Bend is situated in one of Wisconsin's most scenic areas, is conveniently near Milwaukee, and combines the best of small town and big city living. We offer a host of cultural activities as well as all the amenities of a "big city" - with a small town smile and sense of community. We are a membership driven not-for-profit organization which was founded in 1913. To see what our chamber members have experienced. 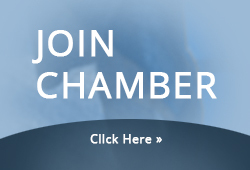 Join now and become a member of the largest Business Organization in Washington County. 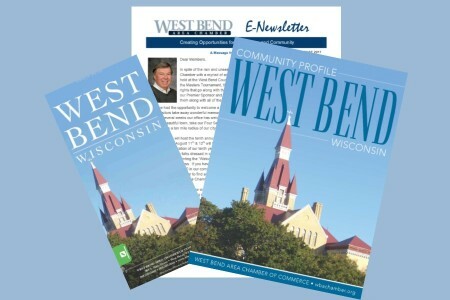 View our West Bend area Map, Community Profile and bi-monthly E-Newsletters by clicking above. Thinking of visiting West Bend? Click above to learn more about our community.